I’ll be busy most of this week working on our group java project for Uni, so work on the Installer will be delayed somewhat. I did however find time to hack together a new template for the ever amusing Planet #Lugradio to make it match the design of Lugradio.org a bit better (at the suggestion of Darran). Wrote a quick program to test the Ubuntu lib3ds package, so hopefully those nice MOTU guys can get a working package sorted out for future releases. This is in relation to a bug in lib3ds when compiled with G++ 4.0’s optimisations: Bug #3711. 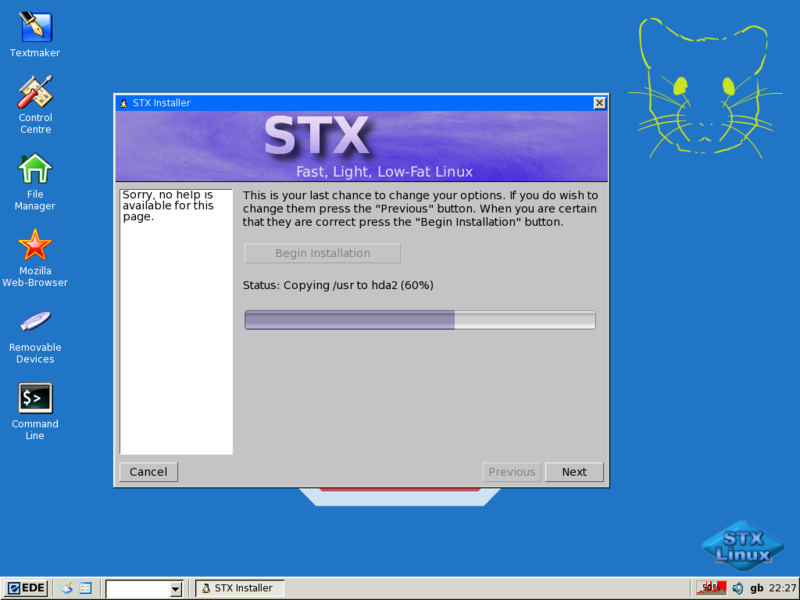 I’ve also been getting odd bits and pieces done to the STX LiveCD Installer; mostly trying to finish off the partition display section and get things threading nicely. Still needs work before being included in the next LiveCD beta but now that my exams are out of the way I might be able to get it sorted a little quicker. Stibs should be uploading beta 1 of the LiveCD (without installer) in the next day or two. Ah, the lengths I’ll go to just to avoid doing some revision ;). I’ve now setup a slapt-get repository for STX Slackware packages. This’ll make it much easier for people to test new versions and new packages of STX software. 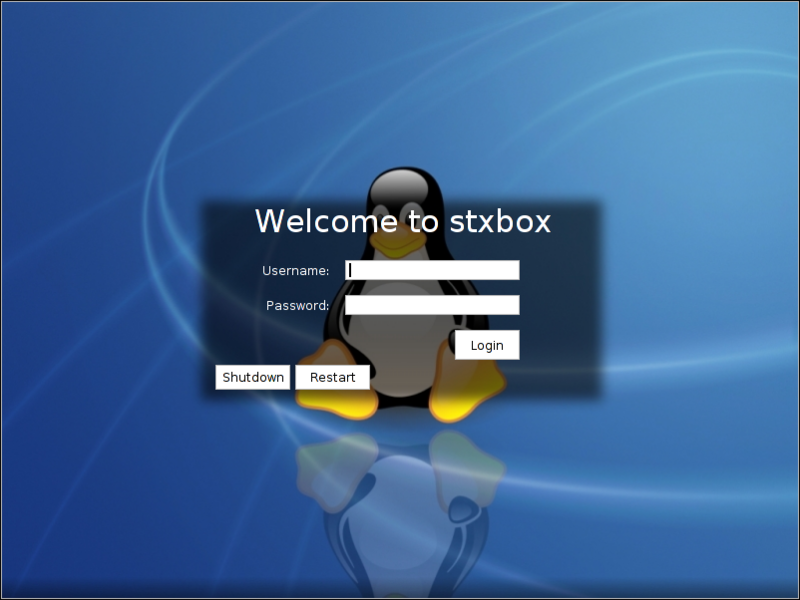 Hopefully stibs will get an official STX repository setup at some point, then packages can be migrated to it after they’ve undergone a suitable amount of testing (think Debian unstable/experimental). I’ve hacked together a neat little PHP frontend to the repository so people can easily get package details (and of course download the packages). The repository is available at http://stx.mikeasoft.com. 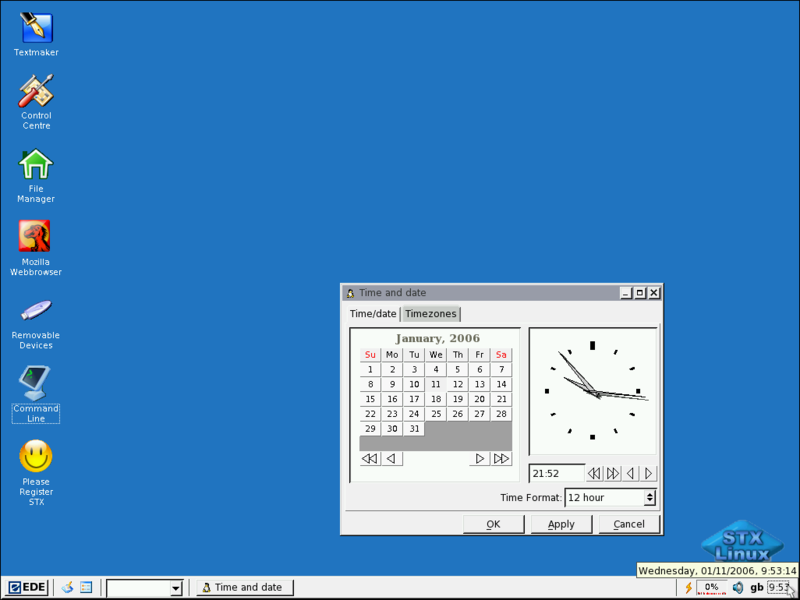 A STX user (neighborlee) noticed that EDE lacked the ability to set the time format between 12 hour and 24 hour, so I quickly hacked together a patch to fix that :). Hopefully it’ll be included in the next STX release (or possibly released as a patch before then). As long as I don’t allow myself to get too distracted by those silly exam things that the University seems intent on pestering me with the LiveCD version shouldn’t be too far away :). A while back I wrote a python module for handling the resize and rotate functions of X11; whilst looking for projects to upload to my new bazaar repository I finally got around to cleaning it up slightly. It’s now available from http://linux.mikeasoft.com/pyrandr.php. Once I’ve finished the LiveCD installer I might even have a go at rewritting my X configuration program (for which this module was created) to use PyFLTK instead of wxWidgets. I’ve now switched from using a semi-private SVN server to publicly using Bazaar-NG which is a distributed revision control system. I’ve been gradually uploading various of my odd projects, further details are available at http://bazaar.mikesaoft.com. 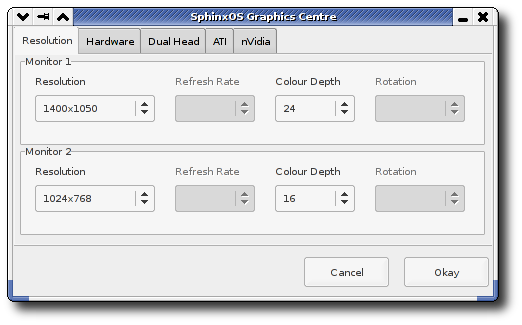 Changed the GTK theme to “Redmond” for more consistancy with FLTK programs. Recompiled PyFLTK so it used Xft to anti-alias fonts. Changed the desktop icon label font size from 10 to 12 to make it nicely anti-aliased. Added my patched version of eworkpanel for notification area support (still buggy, but better than nothing). Started looking at slapt-update-notifier; looks like I might need to hack EDE a little to make libnotify work though. Switched the X cursor to whiteglass since EDE seems to display the core cursor differently to everything else. Added a hamster to the corner ;). I don’t know how many of these changes stibs will want to make use of though, so don’t get too attached to anything ;). After much procrastination I’ve now tackled the installer backend. What had seemed like a mammoth task actually only took a couple of hours (though it is rather hackish in places). There’s still some work to do, a few bug fixes and post installation configuration stuff but it’s coming along fairly nicely now. Tomorrow I’ll grab a copy of the current installation script from RC3 and make it compatible with the new installer. I think stibs is planning on making the final 1.0 release pretty soon, so I expect the LiveCD installer won’t make it in until the next release.